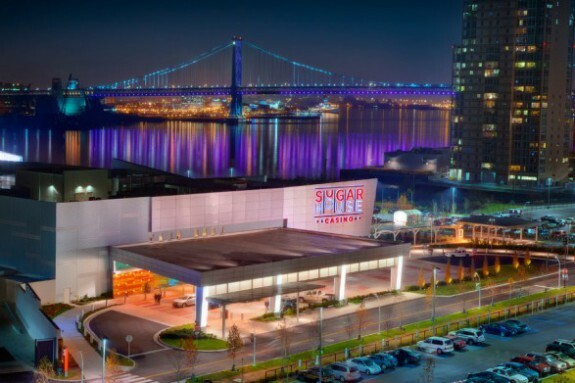 The SugarHouse Casino opened in 2010 in Fishtown, one of Philadelphia’s hottest neighborhoods, located near the Delaware River and surging with new residences, businesses, and restaurants. SugarHouse was one of two casino proposals granted licenses in the city, but it inadvertently became the city’s only operating casino after the second licensee, Foxwoods Casino, failed to meet planning deadlines and forfeited its license. In the years just after SugarHouse opened, more casinos opened elsewhere in Pennsylvania and nearby states, adding to the competitive pressures shared by all of them. Because of those pressures, SugarHouse eventually went on record as opposing a second casino within the city. But in November 2014, the Pennsylvania Gaming Control Board awarded the second license to a joint venture whose casino was planned for a site near the sports complex in South Philadelphia. In the meantime, SugarHouse broke ground in 2014 for an expansion to the property. The Parx Casino in Bensalem was originally known as Philadelphia Park, opening as a horse race track in 1970 and as a casino in 2009. It is one of the leaders in revenue of all the Pennsylvania gambling halls. Casino gaming is often opposed by local residents who believe that it contributes to the decay of society. 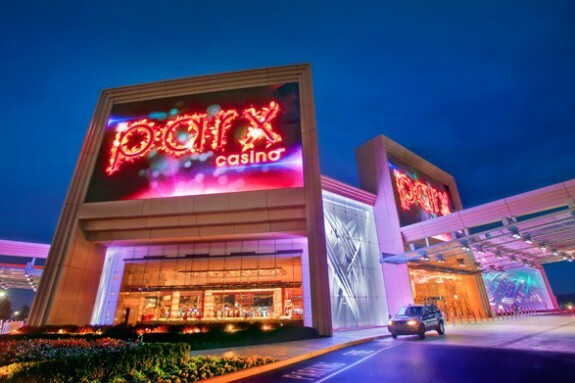 Parx fueled the fire among those critics with a string of incidents in which adults left children in their parked cars while they went inside to gamble. The casino stepped up patrols of the lots in an effort to prevent such incidents. 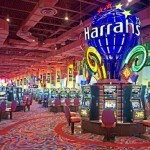 Harrah's Philadelphia opened in September 2006 as Harrah's Chester Casino and Racetrack. The property operated as a stand-alone race course for four months until a slots parlor was opened in January 2007. Casinos in Pennsylvania provide valuable tax revenue for the state thanks to generous tax rate on slots of fifty-five percent. 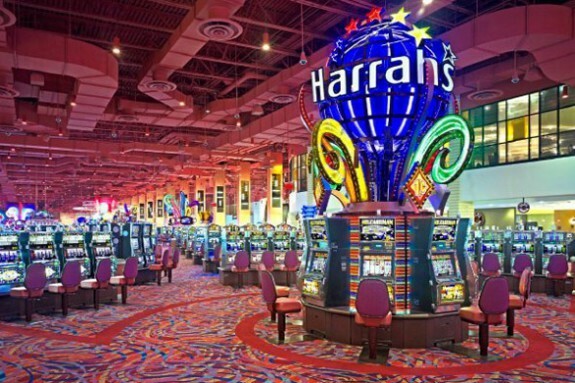 Two percent of the slots revenue generated by Harrah's Philadelphia is received by the city of Chester and used to fund education. Harrah's faces major competition from the SugarHouse casino in the Fishtown section of Philadelphia and with the Parx Casino in Bensalem. 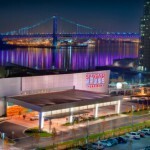 It was rebranded as Harrah's Philadelphia in 2012 in order to emphasize its proximity to the city. Officials from Harrah's believe that a second Philadelphia casino, set to break ground in 2015, will cut into the property's proceeds. 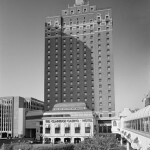 The Claridge Hotel in Atlantic City opened in 1930 as the Great Depression took hold and with just a few years left in the era of Prohibition. During the first three decades of its operation, the Claridge counted Frank Sinatra, Marilyn Monroe, and Princess Grace of Monaco among its high-profile guests, as well as gangster Al Capone. In 1981, it was rebranded as Del Webb's Claridge Casino and Hotel and a new gaming parlor was constructed. Del Webb's ownership ended in 1983 and the name reverted to The Claridge. 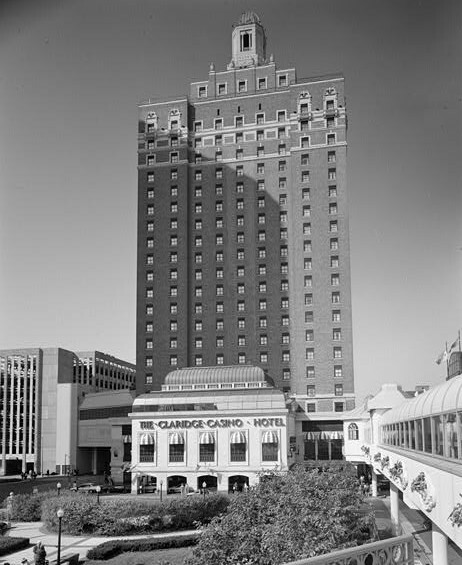 In 2001, the Claridge was sold to Park Place Entertainment (later Caesars Entertainment) and operated under the Bally's Atlantic City umbrella for four years before the gaming hall was eliminated in 2005. The Claridge was purchased from Park Place Entertainment by TJM Properties, a Florida real estate firm, in February 2014. It reopened Memorial Day weekend of that year as a stand-alone hotel. During 2014, four Atlantic City casinos failed as the resort city confronted the rise of competing casinos in neighboring states. The new owners of the Claridge planned renovations that aimed to reinvigorate the hotel as Atlantic City sought broaden its appeal and redefine itself as an entertainment and shopping destination, and not just a gaming destination. This view of Atlantic City shows the Showboat and Trump Taj Mahal casinos in the background. Showboat was opened in 1987 with a New Orleans theme. Due to the downturn in the Atlantic City economy, Showboat ended operations on August 31, 2014, one of four Atlantic City casinos to close in 2014. The Richard Stockton College of New Jersey purchased the building in December 2014 with plans to operate it as both a college campus and a public hotel. Trump Taj Mahal opened in 1990 with a grand ceremony hosted by pop singer Michael Jackson. It was the third property owned by Trump Entertainment in the city, joining the Trump Castle and Trump Plaza, both now defunct. Since 2014, the casino has been in jeopardy, almost closing on several occasions. In December 2014, an agreement was reached with Local 54 Union Workers days before the casino was scheduled to close; the agreement allows the casino to remain in operation. As of February 2015, the Trump Taj Mahal was still in business. In the late twentieth and early twenty-first centuries, casino gambling became an accepted public policy in Pennsylvania, New Jersey, and other states desperate to generate tax revenue and create jobs. But the gains often came with significant social and economic costs in Atlantic City, Philadelphia, and other communities in the region. Casinos began to open in the region in the late 1970s when, after much debate, New Jersey lawmakers legalized casinos in Atlantic City as a way to revitalize the once-thriving resort known as America’s Playground. Until then, the only other state to allow such gambling was Nevada, which legalized casinos in 1931. The Resorts Casino Hotel in Atlantic City opened in 1978, the first of twelve neon-lit, high-rise casino hotels. 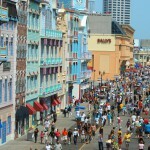 As gamblers flocked to Atlantic City, tourism increased from about 7 million visitors annually to more than 30 million. The casinos also created nearly 43,000 jobs at the industry’s peak in 2006, which also saw a record $5.2 billion in revenue. Despite such gains, more than thirty years of casinos achieved little for Atlantic City. Many Atlantic City gamblers were day-trippers who arrived on buses, enticed by discounted fares and other incentives. They spent the bulk of their time and money inside the casinos, leaving the surrounding businesses to struggle. The number of independent restaurants decreased during the casino era. The shore resort’s poverty rate increased and its double-digit unemployment rate held steady. In an effort to meet the promised requirements for investment in Atlantic City, the state government attempted to steer some of the revenues toward local benefit. The 1977 Casino Control Act called on casinos to reinvest 2 percent of gross revenues in Atlantic City, but the casinos failed to live up to that promise and most of the tax revenues ended up in state coffers. Other revenues went to fund a variety of projects around the state. In 1984, state lawmakers created the Casinos Reinvestment Development Authority, which required casinos to pay 2.5 percent of gambling revenue to the state or reinvest 1.25 percent in community projects. All the casinos chose reinvestment. More than $2 billion went into hundreds of projects, but the spending lacked an overall strategy and many projects were piecemeal and politically connected. Atlantic City’s grip on gambling began to loosen after lawmakers in Pennsylvania passed a bill in 2004 that legalized slot machines. Then-Governor Edward G. Rendell (b. 1944), had promised to use the proceeds from slots to lower property taxes in Pennsylvania by 30 percent. His push for legalized gambling culminated an effort he began in 1991, when as mayor of Philadelphia he tried but failed to gain state approval to legalize riverboat casinos. The path to legalizing casinos in Pennsylvania was anything but smooth. In 2004, the state House quietly introduced a one-page bill addressing background checks at horse racetracks. The bill–called Act 71–sat in the House for forty-seven days before it was passed with no fanfare. As the July 4 holiday approached, the Senate attached a 145-page amendment to the bill that called for legalizing up to 61,000 slot machines–more than any state except Nevada–in fourteen locations across the state, including two in Philadelphia. The bill passed the Senate 30-20 on July 2 at 2 a.m. The House took up the measure the next day and passed it 113-88 just after midnight on July 4. Rendell quickly signed the measure into law. The political sausage-making did not deter gamblers who flocked to the first slots parlor, the Mohegan Sun at Pocono Downs, when it opened in November 2006 at a harness-racing complex outside of Wilkes-Barre. Casinos soon opened in other parts of Pennsylvania, including Bensalem, Chester, Bethlehem, and the Poconos. Despite promises of economic revitalization, the casinos have had little impact on surrounding development across the state. But the casinos have generated billions of dollars in tax revenue for Pennsylvania, in part because the tax rate on slots revenue was set at 55 percent. About half of the revenue was designated for wage tax reduction in Philadelphia and property tax relief in the rest of the state. The rest was directed to support the state budget, local governments, civic development and tourism, volunteer fire departments, and the horse-racing industry. The slots law called for two casinos in Philadelphia. A number of bidders lined up, and in December 2006 the state gaming board awarded licenses to two politically-connected ownership groups known as SugarHouse and Foxwoods. Initially, Mayor Michael Nutter (b. 1957) and anti-gambling groups opposed the two winning casino locations on the Delaware River waterfront. But Nutter switched his position after the 2008 financial crisis hit, claiming the city needed the revenue. In September 2010, SugarHouse opened in the shadow of the Benjamin Franklin Bridge, making Philadelphia the largest city in the country with a casino. In its first two years, SugarHouse delivered $9.35 million to city schools and $4.34 million to the city’s general fund. Overall, gambling revenues were tiny, given the city’s roughly $4.5 billion budget. The push for more casinos continued despite setbacks. In 2010, state gambling regulators revoked the casino license for Foxwoods after the group was unable to get the necessary financing approvals and missed several deadlines to open in Philadelphia. There were other bumps in the gambling road as well. In 2008, Louis DeNaples, the owner of the Mt. Airy Resort in the Poconos, was indicted for lying to state gambling regulators about his alleged ties to mobsters in Scranton. The charges were later dropped after DeNaples agreed to give control of the slots parlor to his daughter. But state lawmakers were undeterred. In 2010, Pennsylvania amended the slots law to allow table games, like poker and blackjack, paving the way for full-blown casinos as opposed to only slots. 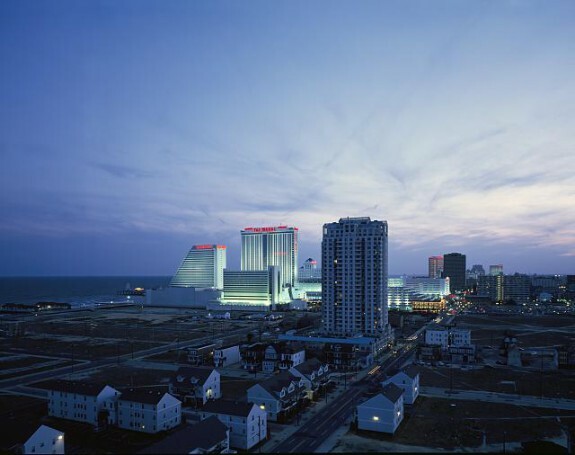 Pennsylvania’s gambling revenues continued to grow, largely at the expense of Atlantic City, which saw its revenues drop after the first casino opened in Pennsylvania. Unlike the visitors to Las Vegas and Atlantic City, many of Pennsylvania’s gamblers are locals who are repeat and problem gamblers. 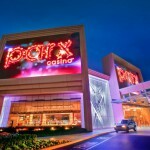 In 2010, Dave Jonas, president of the Parx casino in Bensalem, and other area operators said their customers visited an average of three to five times a week. In 2012, Pennsylvania surpassed Atlantic City to become the second-biggest gambling market in the country behind only Las Vegas. Pennsylvania’s success spurred other states–including Maryland, Massachusetts, Ohio, and New York–to legalize casinos. The increased competition created a crowded market. In the Philadelphia region, by 2014 there were twenty-four casinos within 100 miles. More than a dozen additional gambling halls were planned from Maryland to Massachusetts. The casino explosion was spurred by lawmakers in many states in need of revenues to fill budget holes. Gambling seemed to be the easiest and quickest way to raise revenues given the anti-tax mood of most voters. But the wave of enthusiasm for casinos in Pennsylvania, New Jersey, and other states ran counter to cautions expressed in a 2009 study by the Rockefeller Institute, which found that gambling was not a reliable revenue source. According to the study, gambling revenue tends to grow more slowly than needed to keep up with growing expenses for education and other public programs. As a result, gambling operations may add to budget imbalances rather than solving them. Many other studies have shown that casinos lead to increased economic and social costs, including more bankruptcy, crime, divorce, and suicide. Another problem emerged as well: The casino revenues began to drop in Pennsylvania as well as in many other states. 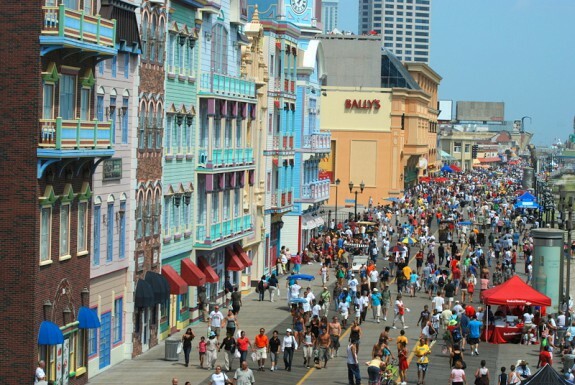 In Atlantic City, gambling revenues plummeted by 40 percent from their peak in 2006. Four casinos closed in Atlantic City in 2014. A fifth casino, the Trump Taj Mahal, filed for bankruptcy. Despite the closings, in November 2014 gambling regulators in Pennsylvania awarded a second casino license in Philadelphia to a site near the sports complex in South Philadelphia. To offset the losses in casino revenues, lawmakers in Pennsylvania pushed for new forms of gambling, including Internet gambling and keno in bars and restaurants. Lawmakers in New Jersey legalized Internet and sports gambling. Some lawmakers in New Jersey pushed to build casinos in other parts of the state. In 1999 the National Gambling Impact Study Commission, a bipartisan group created during the Clinton administration, called for a “pause” in the spread of gambling and suggested that policymakers use the time to learn more about the likely effects of gambling on their communities. But instead of a moratorium, the river of tax revenue generated in Pennsylvania set off a gambling arms race as neighboring states rushed to legalize casinos. 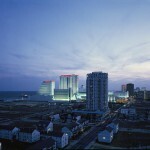 The first casualty of increased competition was Atlantic City, which lost its unique status as the gambling mecca of the East. Most analysts believed the casino market– especially in the Northeast–had reached saturation. The looming addition of casinos in New York and Massachusetts signaled the likelihood of more upheaval ahead. Paul Davies is an assistant professor of journalism at the University of Delaware and a senior research fellow at the Institute for American Values, where he writes about gambling. He spent twenty-five years working for newspapers, including the Wall Street Journal and the Philadelphia Inquirer. Davies is the author of the forthcoming book Casino State: How Pennsylvania Became the East Coast Gambling Capital. Dadayan, Lucy, and Robert B. Ward. For the First Time, a Smaller Jackpot: Trends in State Revenues from Gambling. Albany, N.Y.: Nelson A. Rockefeller Institute of Government, 2009. Karmel, James R. Gambling the American Dream: Atlantic City in the Casino Era. London: Pickering & Chatto, 2008. National Gambling Impact Study Commission. Final Report (2009). “Gaming the System,” Philadelphia Magazine, May 2007. “Poconos Casino Owner Charged,” Philadelphia Inquirer, Jan. 31, 2008. “SugarHouse, Foxwoods Win Philadelphia slots Licenses,” Bloomberg News, Dec. 20, 2006. “Slot Machines: The Big Gamble,” 60 Minutes, Jan. 7, 2011. “Millions Spent on Casinos Didn’t Help Atlantic City,” USA Today, June 11, 2013. “Atlantic City Losing to Walmart-style casinos in Pa.,” USA Today, June 10, 2013. “Christie’s ‘game-changer’ Revel closes doors amid casino ruin in Atlantic City,” The Washington Post, Sept. 2, 2014. “In Faded Vactionland, Gambling’s Promise Falls Short,” The New York Times, Nov. 6, 2014. Pennsylvania Gaming Control Board site lists minutes of hearings, meetings, enforcement actions, revenue data and other public filings by the casinos. SugarHouse Casino, 1001 N. Delaware Avenue, Philadelphia. Harrah’s Philadelphia, 777 Harrah’s Boulevard, Chester, Pa.
Valley Forge Casino Resort, 1160 First Avenue, King of Prussia, Pa.
Parx Casino & Philadelphia Park Racetrack, 2999 Street Road, Bensalem, Pa.
Sands Casino Bethlehem, 77 Sands Boulevard, Bethlehem, Pa.
Hollywood Casino at Penn National Race Track, 777 Hollywood Boulevard, Grantville, Pa.
Mount Airy Casino Resort, 44 Woodland Road, Mt. Pocono, Pa.
Mohegan Sun at Pocono Downs, 1280 Highway 315, Wilkes-Barre, Pa.
Lady Luck Casino Nemacolin, 4067 National Pike, Farmingham, Pa. The Meadows Racetrack & Casino, 210 Racetrack Road, Washington, Pa. The Rivers Casino, 777 Casino Drive, Pittsburgh, Pa.
Presque Isle Downs Casino, 8199 Perry Highway, Erie, Pa.
Bally’s Atlantic City, 1900 Pacific Avenue, Atlantic City, N.J. The Borgata, 1 Borgata Way, Atlantic City, N.J.
Caesars Atlantic City, 2100 Pacific Avenue, Atlantic City, N.J.
Golden Nugget Atlantic City, 1 Castle Boulevard, Atlantic City, N.J.
Harrah’s Atlantic City, 777 Harrah’s Boulevard, Atlantic City, N.J.
Resorts Casino Hotel, 1133 Boardwalk, Atlantic City, N.J.
Tropicana Casino & Resort Atlantic City, 2831 Boardwalk, Atlantic City, N.J.
Trump Taj Mahal, 1000 Boardwalk, Atlantic City, N.J.